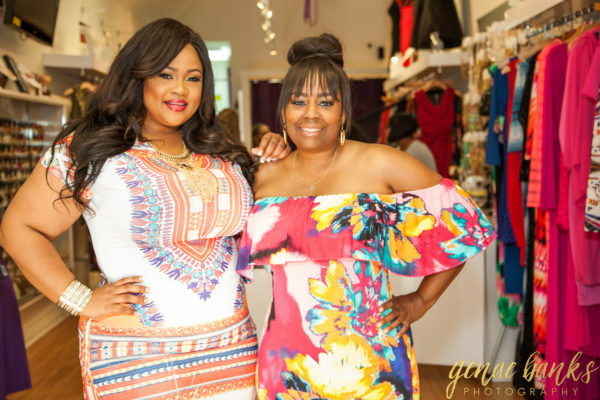 On Saturday June 25th, here in Los Angeles, I co-hosted a Sip n Shop at one of my favorite boutiques Chic & Curvy along with Janna (their plus size model) and radio personality Kevin Nash. It was so much fun and I really enjoy being a fashion blogger for the brand! The dress that I wore was VERY popular and was a huge hit with lots of ladies purchasing it. Check out a few snaps from the event and thanks to Chic & Curvy for having me, it’s always a great time! I’m headed back to Atlanta now, so check back for all the BET Live Experience on the blog soon!